A new alpha build has hit the servers! The zone Azsuna is now available, and so is the Brewmaster spec. 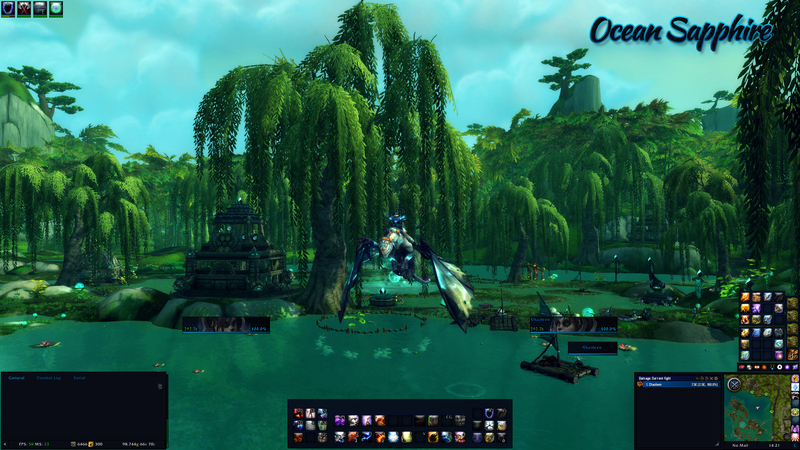 Mistweavers had a few nerfs and changes, our Class Hall has updated UI and new models have been introduced. A small spoiler tag for Brewmaster acquisition quest is in order for this post. Reawaken is now learned at level 44, up from level 14. Rising Sun Kick now costs 3% mana, up from 2%. Refreshing Jade Wind now heals for 225% of Spell Power, down from 355.5%. Refreshing Jade Wind now also increases the healing of Essence Font by 20% while active. Spirit of the Crane now causes Tiger Palm to make Blackout Kick or Rising Sun Kick refund 0.75% mana, down from 1%. Your Effuse applies Fortune Turned to the target, increasing the healing received by your next Effuse by 15% for 6 sec. Stacks up to 3 times. Provoke is now available to all Monk specs. It’s sad to see the heavy mana nerf to the fistweaving build; it reduces its viability and can potentially hurt talent diversity in the long run. But it’s only alpha and a long way till launch, we will have to see how the build performs in raid testing as well! 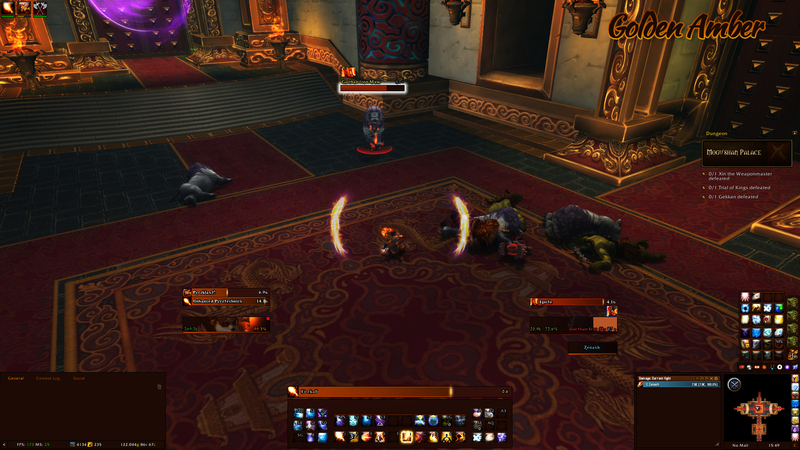 The Monk Class Hall has got a UI update where you can see your followers and available quest. Class Hall campaigns has also been unlocked (haven’t tried it personally though). So far, listed Monk champions are: Chen Stormsout (BM), Aegira (BM), Angus Ironfist (BM), Li Li Stormstout (MW), Hiro (MW), Sylara Steelsong (MW), Taran Zhu (WW) and The Monkey King (WW). My Patreon work continues, and this month’s art is almost done, so I thought I’d give you a sneak peek. In contrast to the previous month’s art of the very dark Midnight UI, I’ve gone for a more bright UI this time. It has taken time to conceptualize and then, after a lot of trial and error, finally create and paint the whole set. This month’s UI is named the Minoan, which I think need some explanation before I go on. The inspiration came from the Minoan civilization that existed in the bronze age on Crete, thousands of years before the height of the Ancient Greek civilization. Not much is known about the Minoan’s culture and history, until their script was deciphered. Their script has the very unromantic name “Linear B” and was deciphered just like the hieroglyphs, though without a Rosetta stone to help. Their older script “Linear A” has not yet been deciphered. The Minoan was a highly developed civilization, characterized by very grandiose palaces and gold riches. The civilization perished however, after the volcano Thera erupted and caused both a massive earthquake and a gigantic tsunami that swallowed it whole. Sounds a little familiar? Yes, there is a theory that the Minoans were the original inspiration for Plato’s tale of Atlantis. And to be honest, Atlantis was my first idea for this UI. But as I always had associated Atlantis with its original inspiration, I think it would be a little misleading to call it “Atlantis UI”, since most people think about a sunken city when they hear the name. My conceptualization is a little different. It is said that you should play WoW in a cyclical manner, a.k.a. take a break from it sometime and then come back refreshed. I am notoriously bad at doing just that, even though my guild have farmed Mythic HFC for what feels like forever, and the alpha is quiet. I work on my Patreon UI, collect transmog, level some new alts, collect garrison gold on the max-level alts, and generally mess around on the Alpha. Recently I have been reflecting on the new abilities and traits in Legion, and can’t help but feel it needs some iteration on name choice. An alpha build was deployed yesterday and though the patch notes were quite long, most of it were corrections of the tooltip text. It seems that Blizzard is taking the fight against subject-verb agreement and other mishaps to generally tighten up the language. I have done a treasure hunt through the notes to see if there were actually any changes to be seen. And I do find some interesting stuff! In addition to alpha notes, there are some interesting developer feedback that I have summarized at the end of the post as well. Have a look! Tooltip corrections for: Enveloping Mist, Essence Font, Life Cocoon, Mastery: Gust of Mists, Renewing Mist, Rising Sun Kick, Soothing Mist, Spinning Crane Kick, Teachings of the Monastery, Thunder Focus Tea, Vivify, Invoke Chi-Ji, the Red Crane, Life Cycles, Mist Wrap, Mistwalk, Rising Thunder, Song of Chi-Ji, Spirit of the Crane, Summon Jade Serpent Statue, Zen Pilgrimage, Transcendence, Healing Elixirs. Revival now heals for 600% of spell power, up from 450%. Zen Pulse now deals 200% of spell power damage to enemies, down from 240%. Chi Burst now deals 275% of attack power damage, down from 330%. Ancient Mistweaver Arts now requires Honor level 40, up from level 6. Chrysalis now reduces the cooldown of Life Cocoon by 90 sec, up from 30 sec. Dome of Mist now also makes the target receive 30% extra healing by the Monk for 6 sec. Healing Spheres now heals for 400% of spell power, up from 260%. Zen Focus now requires Honor level 34, up from level 22. NEW: Surge of Mist – Enveloping Mist is now an instant cast, but has a 6 sec cooldown. NEW: Way of the Crane – Increases your damage by 50%, you become immune to all snare and root effects and you heal up to 3 nearest allies for 200% of the damage done. Lasts 15 seconds. 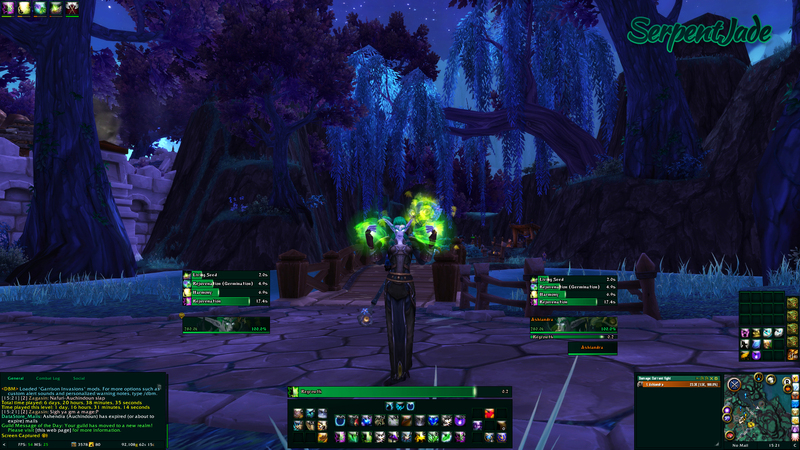 A popular demand have been additional Elvui profiles with action bars. Since I am a graceful hos- I mean blogger, I have added a few (a lot) profiles into my arsenal of UI profiles. I may have gone overboard yet again, but my ambition is a natural byproduct of my passion for UIs. I have done a basic profile that should fit every class, and then copied it to a myriad of different color schemes. Do note however, when imported it needs some touch-ups which I will go through at the end of this post. And we have the following themes: OceanSapphire, SerpentJade, GoldenAmber, CrimsonRuby, VoidAmethyst, SunCrystal and BloodShadow. Since the latest deployed alpha build, PvP has been enabled on the new level 110 PvP realm. Players are able to test out the honor talents and get a feel for the new progression system. Due to weird time zones, queue times have been horrible when I’ve tried, so no luck for me yet. However, Brian Holinka has shared some developer thoughts on the new system! Players will have a separate, additional, talent tree for PvP. To unlock the talents, you must gain Honor first, which works more like PvP experience. Once on max honor level, you can reset your honor level to gain a Prestige level. Prestige levels can unlock cosmetic rewards. Your gear has less impact in Legion PvP. You have predesignated stats when entering PvP battle, meaning that all stats from your gear, set-bonuses and trinkets are disabled in PvP. Item level can boost your predesignated stats, but only a little. 25 ilvls difference means a 2.5% increase in stats, as opposed to in Warlords of Draenor where it would have meant a 25% increase. Since stats are predesignated, developers can tweak individual specs in a way they haven’t before, making PvP balancing easier. When we least expected it, a new alpha build struck. Mistweavers have been granted a few minor buffs, but other than that, not much new. Frost Mage and Assassination Rogue have been unlocked and a new map of Azeroth has been introduced. Take a look! 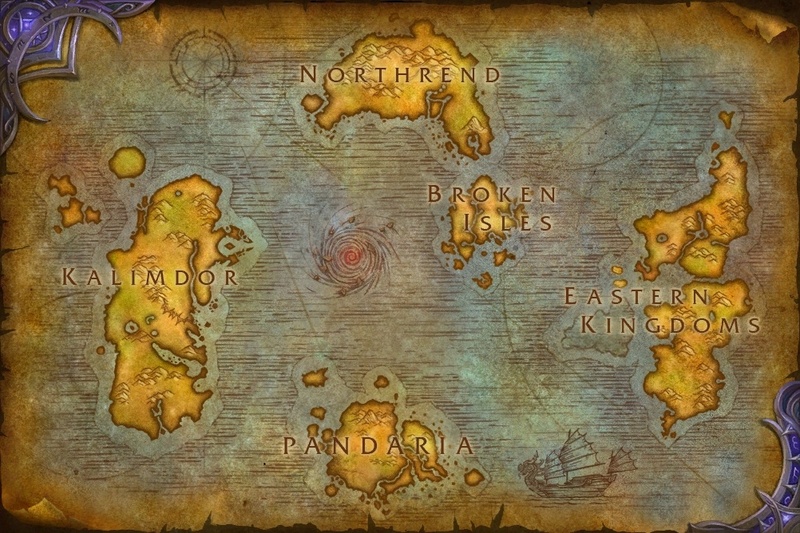 Broken Isles have been granted a place on the grand map, and shuffled the Maelstrom and the Eastern Kingdoms to the sides. Fancy! Rising Sun Kick now has 10 sec recharge time, changed from 8 sec cooldown. Spinning Crane Kick now deals 159.8% of attack power damage, up from 133% of attack power. Zen Pulse now deals 240% of spell power damage, up from 200% of spell power. Celestial Breath now ticks 3 times, down from 5. Chi Burst now deals 330% of attack power damage and healing, up from 275% of attack power. The majority of the icons seem to be designated for the Mistweaver PvP talent tree, and aren’t they pretty? I’m so used to having the alpha build being deployed 4 in the morning my local time, I was a bit unprepared for the update. But here it is, and I must say that I greatly appreciate new icons. Could we have some more, please? It has been a while since I did one of my tea-posts, where I give you an update of all my shenanigans and philosophize about a range of different things. While the alpha has its ups and downs on the news front, I work on a few things in the background. Before I take off, I just want to inform you that I’ve taken a short break from streaming. In great part due to that I only do farm content at this point, and it’s a bit of a nag to stream that over and over, even for me. Also, I work so much on the Patreon rewards and other blog projects that there’s less time to stream. But I will make a return however when I find new and exciting stuff to show you! I don’t know why, but I have trouble writing without a cup of tea in my hand. And since today I’ve bought several new teas (kalahari, green masala chai and aloe vera), I had a great urge to write. 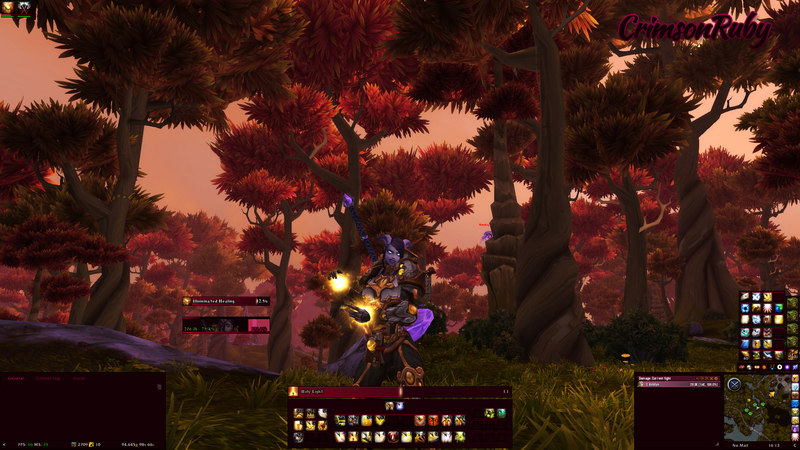 So, what have I been up to during this period of HFC-farming, alpha-bugging and news writing? Well, apart from everything of the above, I always work on a few side projects. Some are going great, but one transmog project I tried to do went to pot. Good evening, my fellow Mistweavers! Today I finished my little project of recording a video of the new Mistweaver animations. Not all abilities have been recorded, but I’ve included those with notable spell effects, especially the new ones. Since it’s alpha, they might be changed, maybe even as early as the next build. But for now, this is how the spells, talents and artifact traits look. Enjoy! A fast and efficient spell, healing the target for [200% of Spell Power]. Cause a surge of invigorating mists around the target, healing them and their 2 nearest injured allies for [225% of Spell Power]. Unleash a rapid twirl of healing bolts at up to 6 allies within 25 yds, every 1 sec for 3 sec. Each bolt heals the target for [110% of Spell Power], plus an additional [36% of Spell Power] over 6 sec.